Price per person. Cost Includes: Motor coach transportation, trail fees, lodging and free continental breakfast. For more details, see flyer. Price per person thru 12/20/18. Cost Includes: Motor coach transportation, trail fees, lodging and free continental breakfast. For more details, see flyer. 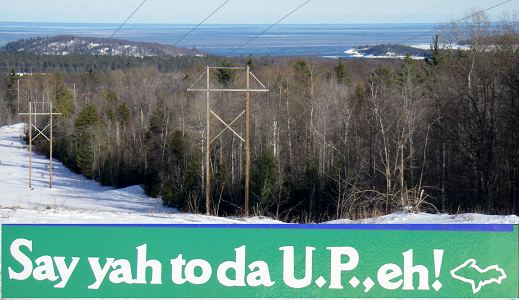 Join us for a ski trip that we last offered 4 years ago by participating in a trip to the Marquette area. We will leave Saturday morning at 8 am and stop to ski at Green Bay Reforestation Camp where there are 30 km of trails, chalet, and 3 km of snowshoe trails. Skiing for Sunday and Monday will be at several areas in the Marquette area. The Lower Noquemanon Trail has 35 km of ski trails, including 15 km of loops around the Forestville heated shelter, with snowshoeing along the trails. From Forestville, you can ski west 14 km or east 7 km toward Marquette along the Noquemanon Trail. Blueberry Ridge has 21 km of ski trails and a new heated shelter, with snowshoeing along the trails. Accommodations are at the Ramada Inn in downtown Marquette with sauna, whirlpool, swimming pool, restaurant, lounge, and microwave and refrigerator in each room. Breakfasts are not included. Additional restaurants are within walking distance. An optional group dinner will be offered. Contact trip leader Paula Brookmire at 414-527-0040 or pbrookmire@gmail.com for more information. Save $20 if you register by 12/20/18.